Business plans, process flows, or any technical concepts, if represented diagrammatically can help even a layman to understand complex subject matter. The visual representations of software development artifacts like Requirements or Test Cases can also remove all the possible ambiguities and makes them more accurate and easier to understand for any stakeholders across the project. 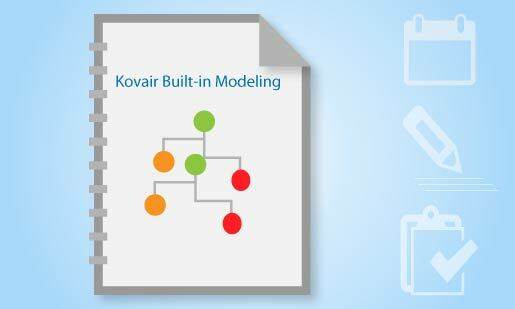 With Kovair’s built-in modeling support, users can represent business requirements, test cases or any technology concepts in the most suitable business format. The simple mouse click and drag-and-drop based diagramming capabilities help users to draw and embed different types of diagram models such as Use Case Diagrams, UML Diagrams, Flow Charts, UI Mockups, BPMN Diagrams, and Generic Diagrams without much effort.